Our fall radishes continue to grow. They are getting to be almost big enough to harvest – especially if you don’t particularly care about getting them as big as possible. 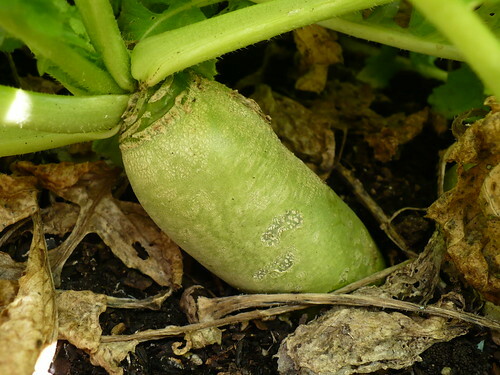 This ‘Mantanghong’ radish is sizing up nicely, although not quite as big as it could be. I pulled two for class today and one had great color – brilliant pink – all the way through. The other had a nice sunburst of pink in the center, but it was mostly white. Great, sweet flavor though. 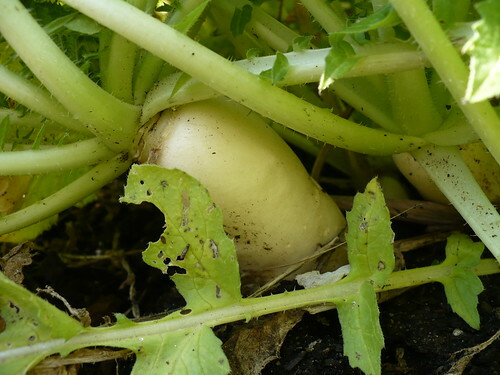 This is one of the Daikon radishes – a regular, plain daikon this time! It doesn’t look like much from the picture, but some of these are almost 8″ long already! It has a different flavor…not quite as radish-y as the other two, perhaps? Now I need to find some good recipes that use all these different radishes! 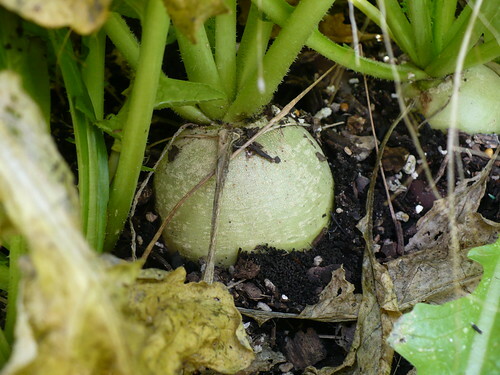 Posted on October 14, 2010, in Around the Garden and tagged fall garden, radishes. Bookmark the permalink. Leave a comment.